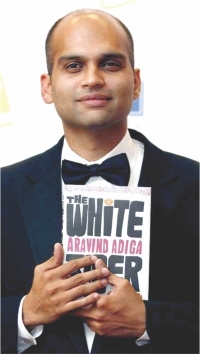 In his Booker clinching The White Tiger, Aravind Adiga shows us the ugly underside of the shinning India. The antagonist of his debut book Balram Halwai is a country bumpkin, who learns the ways of city folks quickly to climb the ladder of the social hierarchy. He doesn't give a damn to the unethical and criminal aspects of his act, and even philosophically justifies his misdeeds which also include a murder. Balram Halwai, in fact, was just an instrument for the author to paint a greater picture of the greed infested and rabidly capitalist post- 1991 India; the country which once took refuge in its Gandhian legacy for guidance, is now being run by the carpetbaggers, pimps and middlemen. 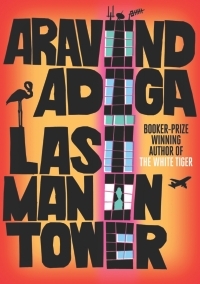 Adiga continues with the same theme in his third novel Last Man in Tower. The protagonist of the novel is Yogesh Murthy. He is also known as “Masterji' among his neighbours because he is a retired schoolteacher. An atheist, he firmly sticks to his idealism which has earned him respect of almost everybody around him. He lives in an old crumbling housing society known as the Vishram Housing Society. Built in 1950s the society is the only one with 'absolutely, unimpeachably pucca' structure in entire Vakola area of Mumbai, which mostly comprises of the slums. The society in itself is a miniature of India; with all its religious and cultural diversity. The people living there are retired accountant, small time real estate broker, internet café owner, social worker, etc. The people living there are Hindus, Muslims and Christians. The people living there are Punjabis, Gujaratis, Sindhis, Bengalis, etc. But they live like an extended family. One day, Mumbai's well known Builder called Dharmen Shah's prying eyes fall on this society and he decides to buy it to build his dream project, a luxurious residential complex. He sends his emissary with an offer to all the members of the society to sell their apartments to him. His offers are more than generous. But he sets a deadline before which all residents of society must agree or the offer will be withdrawn. As the deadline nears, all the flat owners take the offer except 'Masterji'. For Masterji the house is associated with the memories of his long gone daughter and the recently dead wife, and thus priceless. His neighbours do not understand the emotional aspect of Masterji's attachment with Vishram Society. For them he is a great hurdle in the way of their prosperity. So, first, they try to convince him but when he refuses to budge, they become enemies and co-conspirators. Even his close friend Albert Pinto forsakes him. Finally, Dharmen Shah, with all his guile and cunningness, achieves what he has desired. Thematically speaking, the novel is a commentary on the changing yardsticks of morality of Indian middle class where values and ethics mean nothing, and where material possession stands for everything. Masterji here symbolises the last remnant of idealism on which the idea of India was propounded in 1947 by its founding fathers. Dharmen Shah, on the other hand, is the truth of today's India. Like Balram Halwai he rises from the dirt and becomes a shining star. On his way to success, he does not shy away from doing the things which are morally or ethically wrong if they guarantee him success. Just like Balram Halwai. During last two decades India has witnessed a rapid economic growth that has created a big middle class and even bigger under class. This middle class has great material aspirations and are simply brutal in their approach to achieve their goals. This upward mobility among middle class has also created a huge demand for the real estate. In absence of any visible governmental control over real estate activities, it has become very lucrative business for unscrupulous and undesirable elements. In bigger cities, you can observe that there are so many builders and property dealers who resemble more with a crook or a petty criminal than a respectable business man. Under the political patronage, these builders are new age mafia who do their business with the stamp of legality. Adiga, undoubtedly, has created the character of Dharmen Shah from those real people. Aravind Adiga has worked equally hard on all the characters. From weird and secretive Secretary of the society to the guard Ram Khare, he has fleshed out each of the characters. But, the central character Masterji doesn't get the space he deserves. Even Dharmen Shah should have made his appearance more frequently. Further, the way the neighbours of Masterji behave after committing a ghastly crime doesn't appear to be plausible. Take away the minor glitches and the novel is a perfect commentary on the darker side of shinning India. But, when it comes to the entertainment value, 'The White Tiger' scores over this book. And when it comes to the literary merit Adiga's second book 'Between the Assassination' scores over this book.